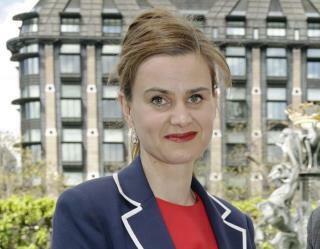 The Mirror has a profile of Cox, whom it calls a "rising star" in British politics. She was an advocate for Syrian refugees and entered parliament in 2015 after time with Oxfam and the Bill and Melinda Gates Foundation. The BBC has a roundup of reactions to Cox's death from friends and politicians, who called her “quite simply one of the nicest, most decent women ever to enter the House of Commons." Thomas Mair, the man suspected of killing Cox, is “a quiet man who was friendly but appeared to be a loner," the Financial Times reports. The 52-year-old was unemployed and lived with his grandmother until her death. The Telegraph explains what happened on “democracy's darkest day in decades" and how Cox's accessibility to her constituents made it easier for her to be attacked. Cox's death is reminiscent of the attempted assassination of Rep. Gabby Giffords five years ago in Arizona, USA Today reports. Giffords calls Cox "courageous and hardworking." Was it wrong to kill Cox. Of course. Assassination should not be part of Western Civilization's political strategy. On the other hand more of that type of thing will be spreading across Europe as left leaning politicians set up the destruction of Judaeo-Christian culture by importing more Muslims. I have little sympathy for those who are the enemies of their own nations. And fight against the hatred that killed 49 in Orlando.